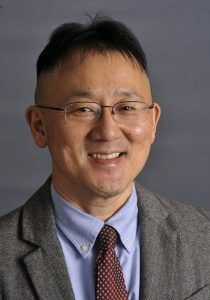 Seangill ‘Peter’ Bae, Circulation Services Director of Firestone Library at Princeton University, was selected as the 2017 winner of the Virginia Boucher-OCLC Distinguished ILL Librarian Award, administered by the Sharing and Transforming Access to Resources Section (STARS) of RUSA. Bae was selected for outstanding and sustained contributions to the resource sharing community regionally, nationally and internationally. The award, sponsored by OCLC, consists of $2,000 and a citation which recognizes a librarian for outstanding professional achievement, leadership, and contributions to interlibrary loan and document delivery through recent publication of significant professional literature, participation in professional associations, and/or innovative approaches to practice in individual libraries. Bae will be honored at the RUSA Achievement Awards Ceremony in June. Bae’s work as a member of both the International Federation of Library Associations’s (IFLA) Document Delivery and Resource Sharing Section and the STARS Section of RUSA has fostered communication, collaboration, and cooperation throughout his ongoing research, presentations, and publications. The Virginia Boucher-OCLC Distinguished ILL Librarian Award selection committee includes: Collette G. Mak (Chair), Tina Baich, Mary Hollerich, David K. Larsen, Lars Leon, and Robin Moskal.